Cities have grown and perished on the banks of rivers since the dawn of human civilisation. The South Asian population has been supported by the fertile plains created by iconic rivers such as the Ganges, Brahmaputra, Indus. However, modern cities have exploited the same rivers that have nurtured them as they have grown into the burgeoning metropolises that they are at present. Most rivers, in contrast, have been reduced to trickles of filth from the ever-growing human consumption. What is the urban water crisis in India? India is the largest groundwater user, but the built reality of urbanisation continues to hinder natural recharge. India has 4% of the world’s freshwater resources which support 18% of the world’s population. Government estimates suggest that 70% of its surface water bodies are polluted mostly due to urban domestic and industrial waste. The urban population in India is expected to grow dramatically with over 400 million urban residents to be added by 2050. Cities like Delhi, Mumbai, and Bangalore are thus dependent on energy-intensive water supply infrastructure from dam reservoirs, which increases water supply costs. Indian cities are drowning due to heavy rainfall and unplanned growth. Sustainable urban water management is essential for liveable cities in the future. With crumbling infrastructure, too many people, and unplanned growth of our cities, articulating issues for sustainable urban water management becomes a tall ask. Cities are growing, and in the process, are often irreversibly damaging natural ecosystems. Our choices and aspirations as citizens have been driven towards higher levels of per capita consumption and hence higher volumes of production. Such growth, demands more housing and infrastructure to support services such as water supply, sewage management, solid waste management and transport. It also warrants for higher consumption of resources without taking into consideration the long-term sustainability of this path. In process, wetlands and floodplains within cities become “wastelands” waiting to be grabbed and developed as prime real estate instead of “worthless” empty tracts of land. Our technology choices for our infrastructure for service delivery haven’t always been prudent. After independence, successive governments continued to provide impetus to resource-intensive technology for infrastructure for service delivery. At the same time, with the advent of piped water supply, cities have been divorced from the local freshwater ecosystems that hitherto provided sustenance to its populations. Rivulets and streams flowing through cities end up with no perceived value and hence become dumping grounds of human refuse. Citizens have become used to closing their eyes and noses instead of worrying about the health of the source of water that underpins their own existence. The consumption patterns of our cities are a result of decision-making of not just the government agencies, but other actors as well, including industries, citizens, and civil society. While government agencies continue to make choices for water management driven by a collective mindset created by archaic educational syllabi in technical education, citizens, both urban and rural, aspire for lifestyles founded on high consumption of water and other natural resources. Consequently, industry continues to dream of growth at the expense of unchecked degradation of freshwater ecosystems. At the same time, civil society also continues to operate in a status quo manner, rather than advocating for integrated management inspired by a wholesome oneness with nature. Thus, each of these actors contribute to the travails of our rivers that flow through our cities. The issues in managing water and waste in Indian cities are due to disjointed governance practices, and an oft touted solution in the high towers of academics and policy, is Integrated Urban Water Management (IUWM). IUWM has not captured the mainstream public eye in India yet. In simpler terms, it is the realisation that nature functions in an interconnected manner, and we have managed to engineer structures that transform these natural resource and nutrient cycles into linear inputs and outputs to our cities. Our cities consume water, and release solid and liquid waste back into the same system, without realising the interconnectedness of the seemingly different freshwater ecosystems. We claim land that was originally meant for the rivers to swell and react by building embankments when the river periodically claims what is hers during floods. Thus, management of water, sewage, solid waste, land-use planning, and conservation of wetlands and rivers in the Indian city are all linked. However, institutions managing these seemingly different disciplines are different with varying levels of power across functions and levels. Further, the municipal corporation of the city has limited scope as far as planning, financing and managing water supply, ecosystems and waste, despite clear rules for decentralisation. Thus, there is a need for agencies to converge effectively at the local level for integrated management of service delivery, waste management and ecosystem conservation. From time-to-time, the central government has announced schemes that direct funds towards urban “rejuvenation”, “transformation” or “renewal”. However, consultants who draft project reports, as well as the engineers and managers who commission them, are often bound by constraints of capacity or initial funds required for innovation in water management infrastructure. In fact, the project mode of funding infrastructure needs to transition to a strategy-oriented financing, wherein cities are financed for a gamut of interventions to transition into integrated urban water management systems. It is probably time that cities start funding water infrastructure from means other than financial assistance from the central government. Green municipal bonds have been useful in some countries, and it might be a good time to develop and access such bonds if Indian cities want to progress towards integrated water management systems. We as a collective need to explore solutions for urban water management that “build with nature”, instead of hindering its natural cycles. Urbanisation can coexist and in fact, nurture healthy freshwater ecosystems, instead of trying to conquer them by engineering infrastructure. Our technology choices, including the materials we choose for construction and the design plans can be in sync with natural processes, like many other cities in the world have already established. In fact, our traditional systems of managing water such as step-wells or rainwater harvesting tanks are proven means of sustainable water management practices. For instance, managing stormwater through natural infrastructure like swales and attenuation ponds, instead of being treated along with sewage in a Sewage Treatment Plant. Finally, behaviour change of all government and non-government actors within the urban system is integral to this shift to integrated management of urban water. It is often tempting to disregard the role of engaging users in planning, implementation or design of interventions for sustainable water management, but a true transition towards an integrated system can happen only if citizens act as individuals and as a collective. However, communication for behaviour change of users cannot be limited to creating awareness; it has to include building capacities to adopt sustainable lifestyles, participating in monitoring and evaluation of interventions, as well as influencing policy decisions. Furthermore, policies, rules, acts and social norms should all be assessed and tweaked such that they work in tandem to change decision-making behaviour of all actors that make our cities, cities. There is no argument against the fact that the health of our water bodies puts us at risk from future water stress and also leaves us vulnerable to disasters as well as epidemics. However, the approach towards addressing this impending threat has hitherto been limited to discussions in closed rooms. The approach to managing water in our cities is a combination of innovation in governance followed by finance and technology choices, and not just one-off pilots to implement alternate technology. Finally, a fundamental paradigm shift in all our decision-making is essential, as consumers, as producers, as policy-makers. About the Author: An engineer, social scientist and a conservationist, Shuchi Vora works on the science-policy interface in freshwater conservation. She graduated from University of Oxford in 2018 where she read Water Science, Policy and Management, and her research was on the effectiveness of water allocation policy decisions in the Mara river basin in Kenya. 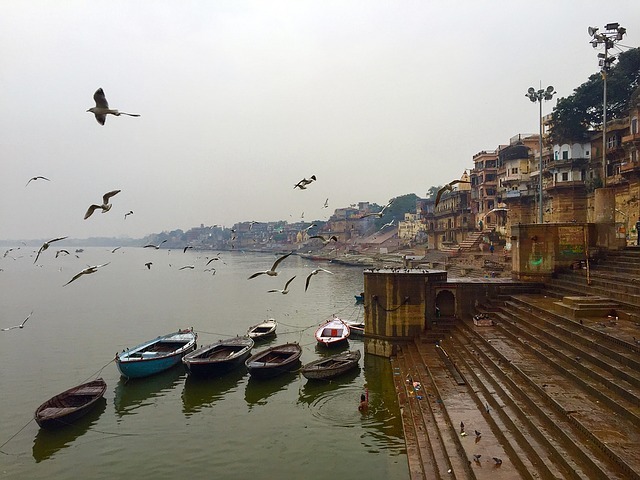 Prior to Oxford, she worked with the World Wide Fund for Nature (WWF) on urban water and multi-stakeholder river basin organisations in the Ganges basin. She is currently based in New Delhi, India.